This post is lightly adapted from the original, which appeared on the Best of Systers Blog. Systers is the world’s largest email community of technical women in computing. It was founded by Anita Borg in 1987 as a small electronic mailing list for women in systems. Today, Systers broadly promotes the interests of women in the computing and technology fields. The community celebrates its 25th anniversary this year. As most folks likely already know, registration for Grace Hopper 2012 has opened, and I’m looking forward to seeing many of you at the conference! In addition to all the amazing keynotes, technical sessions and workshops, I’m particularly looking forward to participating in Grace Hopper Open Source Day. Now in its second year, Grace Hopper Open Source Day introduces conference attendees to the wonderful world of open source software through a variety of activities. Grace Hopper Open Source Day takes place on Saturday, 6 October 2012, though we’ll have several related activities taking place during the rest of the conference. So, what is Open Source Day? Open Source Day is your opportunity to collaborate with your fellow attendees to write software for one of ten open source software projects, all of which have a humanitarian or social good focus. Attendees of all skill and experience levels are welcome and encouraged to attend. Even if you’ve never contributed to an open source project before, you will end the day having created something valuable for the public good! We have ten projects who’d like your help, including two local Baltimore, Maryland organizations, GoodSpeaks and the Baltimore Neighborhood Indicators Alliance. GoodSpeaks works “to help all charitable organizations – especially smaller organizations working at the grassroots level – self-report through video to increase visibility and support” and the Baltimore Neighborhood Indicators Alliance promotes, supports, and helps people make better decisions using accurate, reliable, and accessible data and indicators to improve the quality of life in Baltimore City neighborhoods. In true open source style, we’re giving Systers the opportunity to scratch their own itch by working on Mailman, the software that powers the Systers mailing list. We’ll also be working with projects devoted to accessibility, disaster relief, education and free culture. 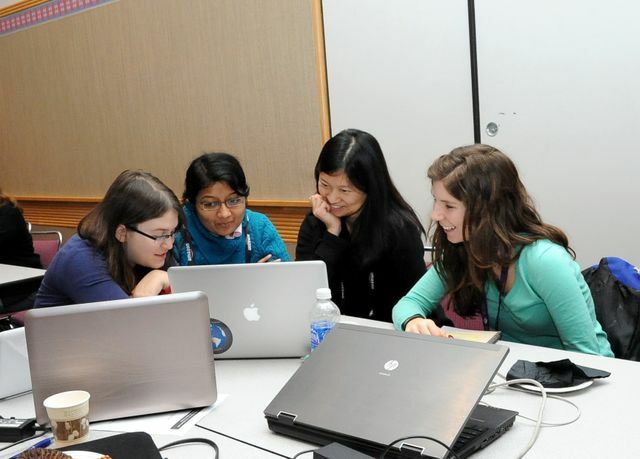 You can find the full list of participating projects on the Grace Hopper site. So, interested in Open Source Day but wondering what you can do to be better prepared for the festivities? Excellent! Once again, we’ll be hanging out at the Free and Open Source Software projects booth in the expo hall. If you’re completely new to open source software, please stop by and visit us. We’ll have several folks on hand to answer your questions and to tell you more about open source project communities you may want to join. If you’re an old hand at open source and want to volunteer to staff the booth, we’d love to hear from you! You can also sign up for booth duty shift directly on the Systers wiki. You must be registered for the Grace Hopper Conference in order to attend. 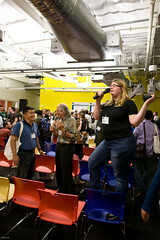 For full details on registration, visit the Grace Hopper Open Source Day page. We hope to see you there! This entry was posted in conferences, open source, volunteer work, women in tech and tagged foss, ghc, ghc12, ghcosd12, grace hopper, open source, systers, women in tech. Bookmark the permalink.